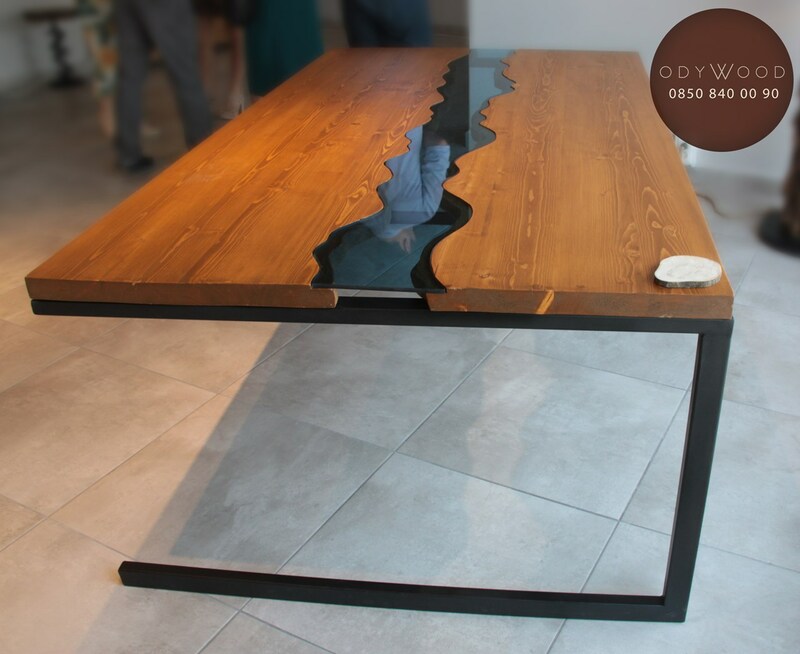 Industrial Metal Lines design. 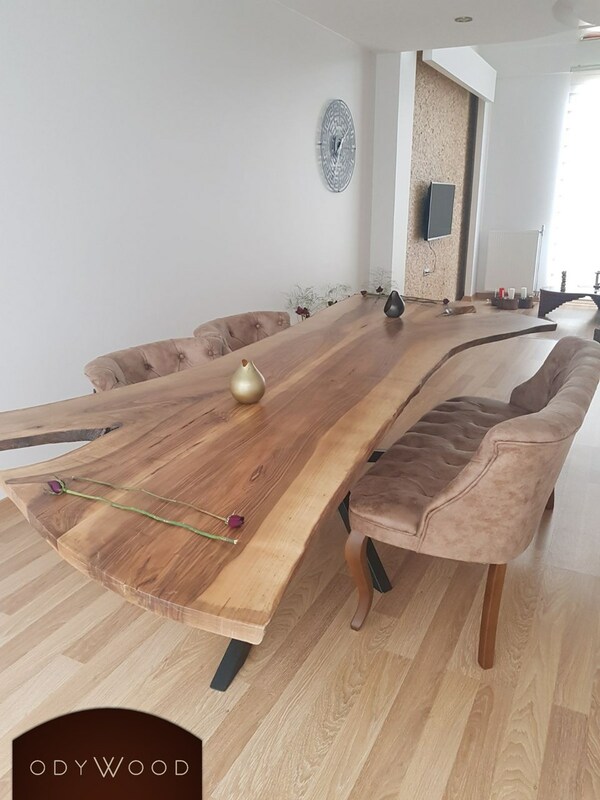 125x240 cm (49.21"x94.49") in stock. 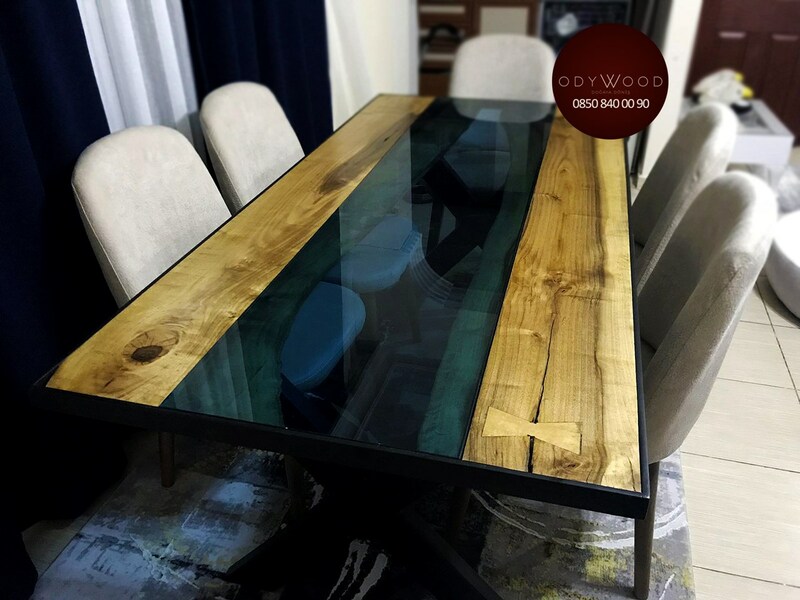 Can be used as dining table or office desk. 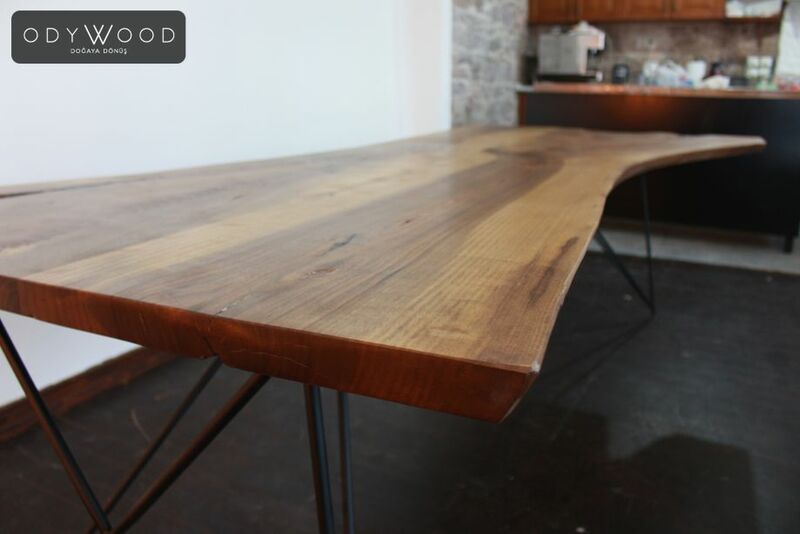 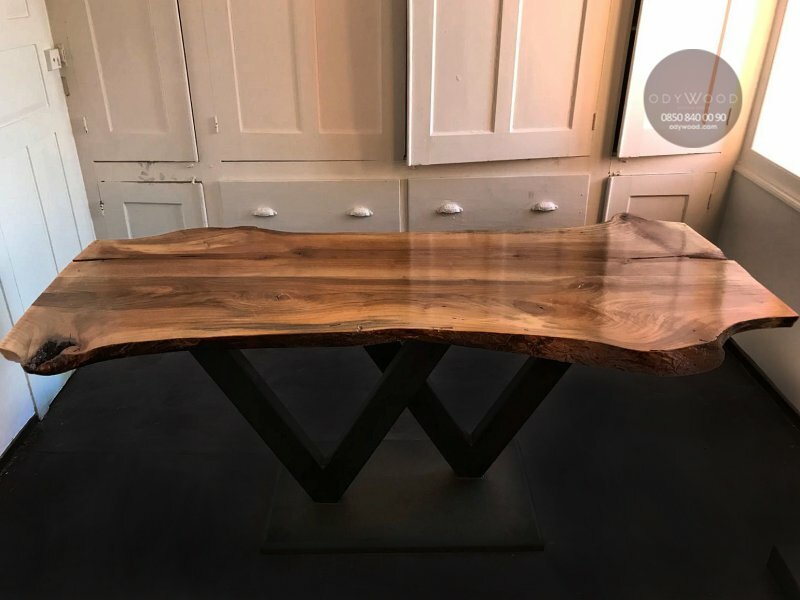 We produce live edge tables from pure walnut wood by keeping their natural form and combine carefully with specially produced leg designs from elegant and durable industrial metals to go beyond of the standard. 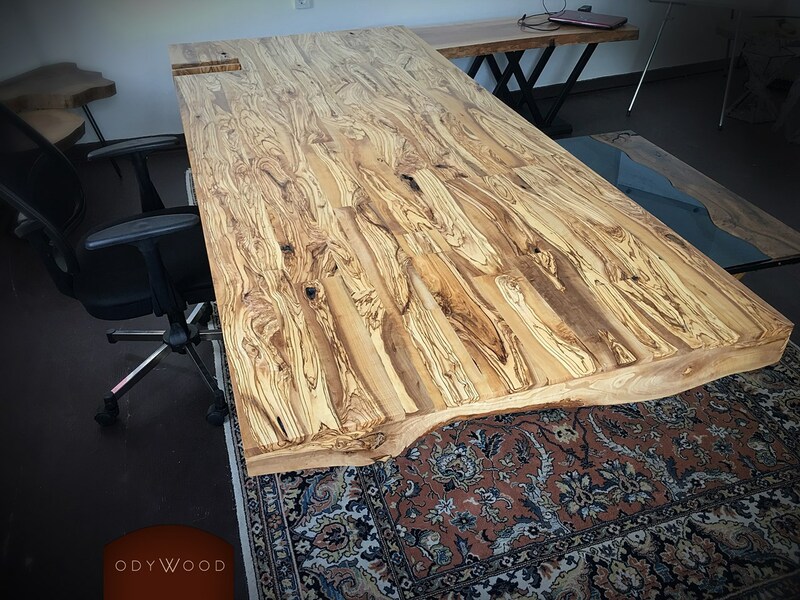 All the woods we use in the tables and natural wood furnitures are processed after the drying process is completed. 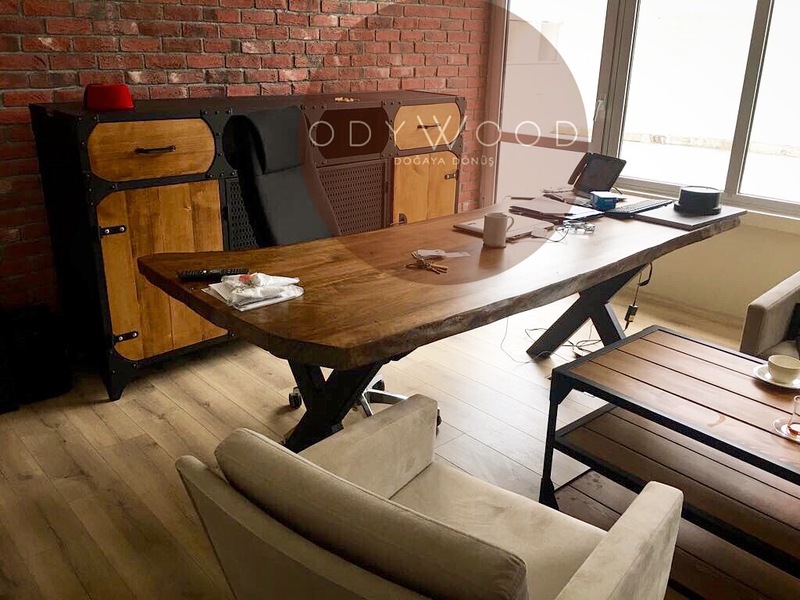 In this way, we eliminate the problems such as cracking and warping, which is a big risk for furnitures made of natural wood and log. 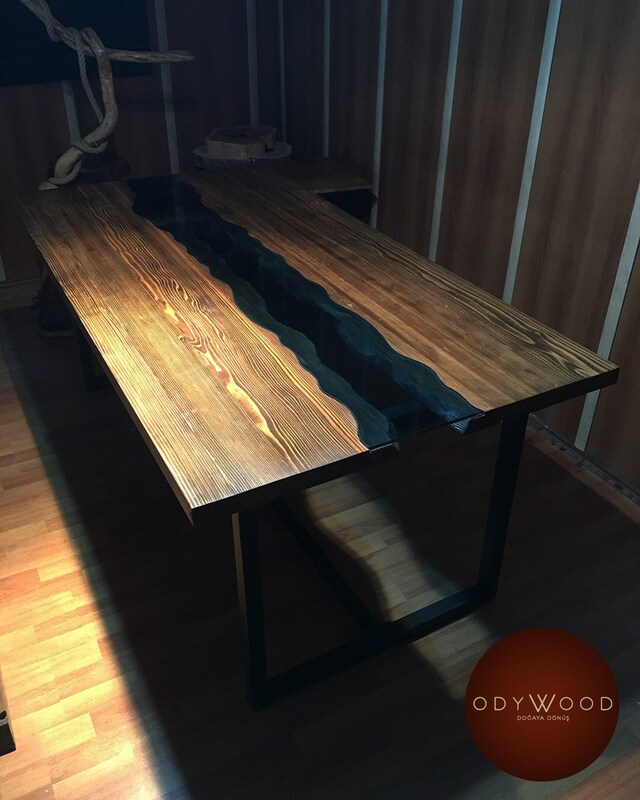 Our table models are produced with custom size, color and metal leg options to meet individual requirements. 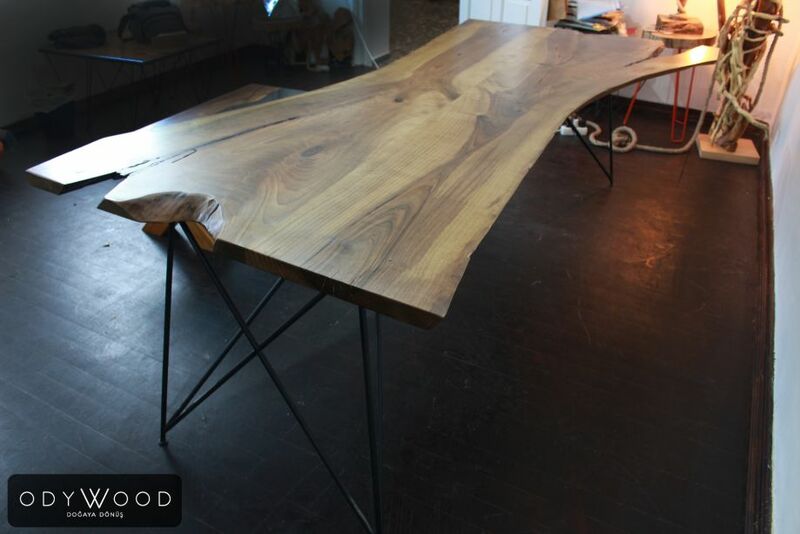 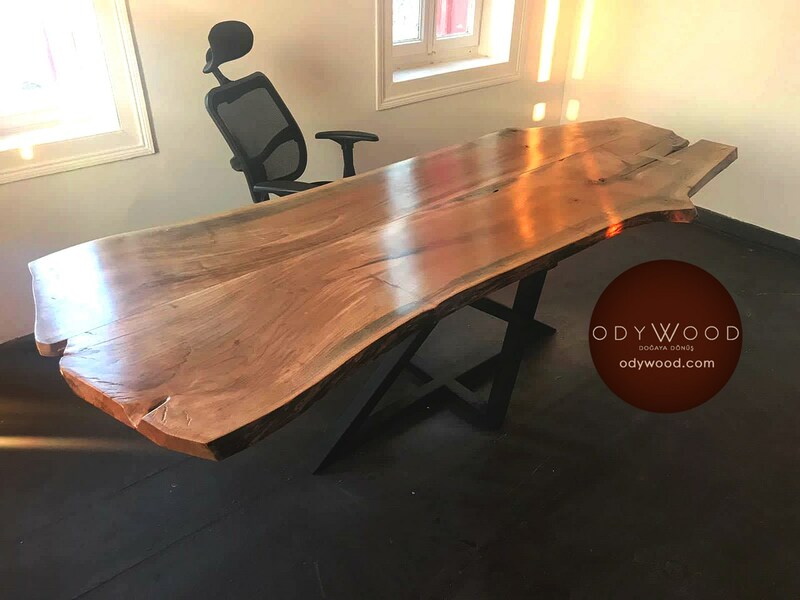 Walnut Log Desk - Metal Cross Leg Live edge walnut wood office desks with metal cross leg.